Please note it's not real... April fools day comes once a Year! Early this morning the Aberta Provinicial Government has passed legislation that properties with "Dog Houses" will require seperate title for the additional dwelling. Sylvester Smythe with Acme Surveys expects a substantial increase in his business as home owners scramble to subdivide their properties. "It's not just a case of updating your Real Property Report. A new title will be created and an additional Real Property Report will need to be on hand to reflect the current state of the lands. 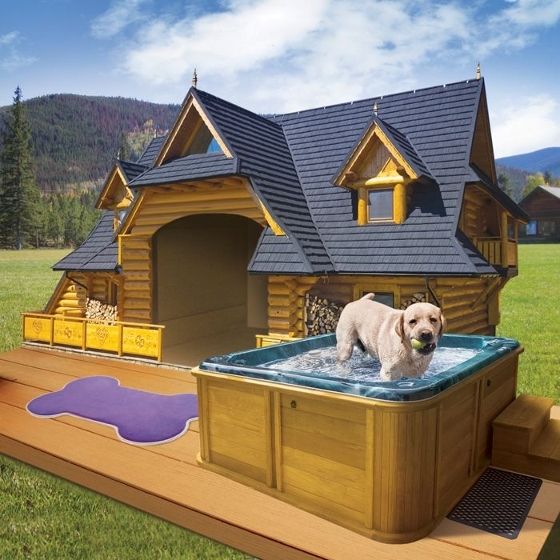 The Provincial requirements are that a 64" breeezeway will need to apply to the Canine dwelling. If there are Utilities involved, Water, Sewer, Electricity and Gas; Additional requirements will need to be met. Elmer Fudd with Planning and Development states that " If it was me I would build the Dog House on the Front Lawn next to the sidewalk, that way common shared access is easily utilized." As the Province begins heavily enforcing the new title requirement, Municipalities brace for the onslaught of angry calls from homeowners and purchasers. A representative from the Provincial office states " It's not the first time we have done something that is largely unpopular with the citizens, however what do you expect before noon on April 1st."